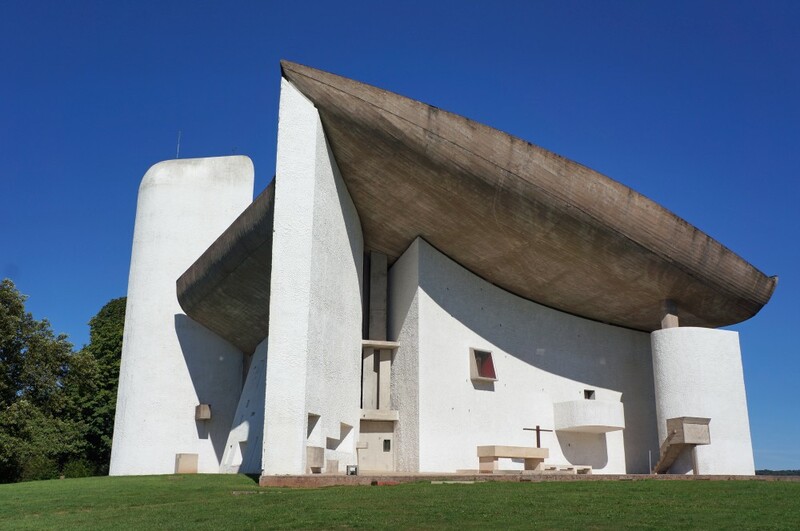 Notre Dame du Haut is commonly thought of as a more extreme design of Le Corbusier’s late style. Commissioned by the Association de l’Oeuvre Notre Dame du Haut, the chapel is a simple design with two entrances, a main altar, and three chapels beneath towers. Although the building is small, it is powerful and complex. The chapel is the latest of chapels at the site. At the time the new building was being constructed, Corbusier was not exactly interested in “Machine Age” architecture but he felt his style was more primitive and sculptural. Also, he realized when he visited the site that he could not use mechanized means of construction, because access was too difficult.